Q. 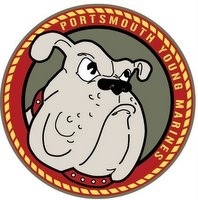 How do I get to Portsmouth Naval Shipyard? Follow signs for Route 95 North (Maine/New Hampshire). Take Route 95 North through the Hampton, NH tollbooth and continue on Route 95 to Maine. On Route 95 North you will pass over the Piscataqua River Bridge into Maine. (This is a very large high-rise bridge). You will see the Shipyard to your right as you reach the top of the bridge - large cranes in the distance. Take Exit 2 - Route 236. Once on Route 236, move to the left lane. Pass under the overpass and enter into the Kittery Traffic Circle. Go a quarter of the way around the circle and exit on the right, after the 7-Eleven store (before Dairy Queen). Follow this road until you come to an intersection with a set of lights (approximately one mile). (TD Bank North is on your left.) Take a left at this intersection. Pass straight through the next set of lights (approximately ½ mile). Straight through this set of lights is Gate 1 of Portsmouth Naval Shipyard. Once on Route 236 South, move immediately into the left lane. You will be entering the Kittery Traffic Circle. Exit from the circle just after the 7-Eleven store and just before Dairy Queen. Follow this road for approximately one-mile to the traffic light at TD Banknorth. Take a left at this light and follow approximately a half-mile to the next traffic light. Immediately through this light is Gate 1 of Portsmouth Naval Shipyard.